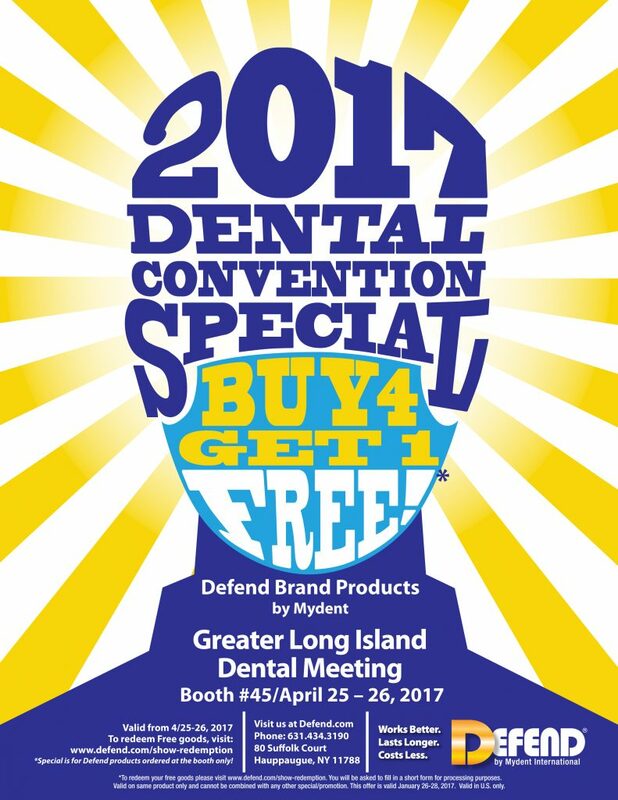 HomeDEFEND BlogVisit Mydent at Greater Long Island Dental Meeting – Booth #45! Plus, make sure to see our new award-winning DEFENDLOC pouches and innovate eBite Intraoral Light. So stop by, say hello, and take advantage of it all at Mydent’s Booth #45! To learn more about the Greater Long Island Dental Meeting, please click here.